“Not true,” says Heidi Burger, captain of Team Tiletoria, Zeekoevlei Yacht Club’s pioneering, women-only team. “Women don’t need to sail like men. You simply need to adjust your systems and work with the right trainer.” Female sailors are by no means unheard of, but most women who sail form part of mixed gender teams, and are often given less important jobs to do on the crew. The girls established their women-only team in 2015. Initially, they just wanted to prove that women could sail a vessel entirely on their own, but their campaign has since become about much more than that. It’s become a symbol of inspiration for all women in a male-dominated environment. But in just 4 years, they’ve made a big impact on the Cape sailing scene. “In our second year at the Lipton Cup Challenge, they announced us as ‘the best-looking team on the water’, the third year they referred to us as the ‘girly team’ and then this year they were like, ‘This is Team Tiletoria’. “At your own yacht club, you don’t really notice the difference you’re making, but this year we travelled to Durban for a regatta and it feels like you’re doing that first year all over again, because you’re starting from the bottom with all these traditional outlooks on women and what they should and shouldn’t do. But it was a good experience, because we got to see just how much progress we had made back home,” says Heidi. 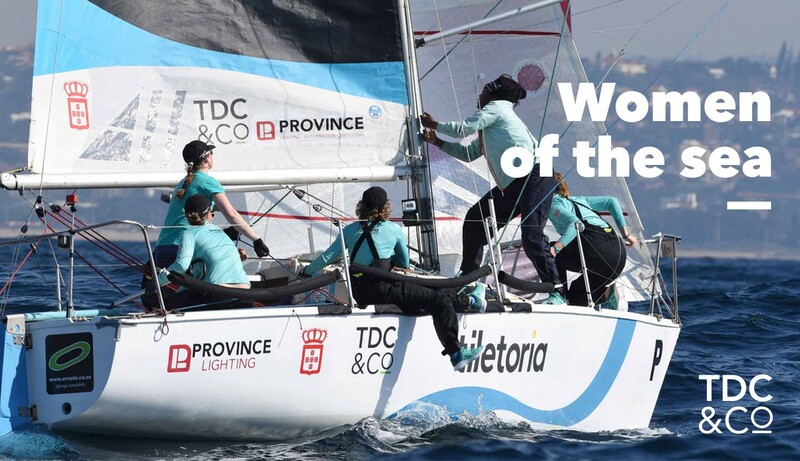 Team Tiletoria recently partook in the annual Women’s Day Race at Royal Cape Yacht Club where they put four boats together with predominantly female crews. By spreading their skills across four boats, the ladies managed to maintain four female-led crews as opposed male-led ones. Their goal, as always, is not to win more regattas, but to inspire more women to lead sailing crews and to increase the diversity of the sport. The team is sponsored by Tiletoria, Province Lighting, TDC&Co, Vida e Caffè in Paarden Island and Ornate Signage.